Camping checklists should not just be for the obsessively over-prepared. Of course, depending on what sort of camping activities you have planned for your camping trip, its duration, the weather conditions, and facilities already available, your personal and printable camping checklist will likely vary in needs and length. However, here are some suggested camping items that might be useful to pack before you hit the wilderness trail on your camping adventure. You can download the CampTrip Camping Supply List Word Checklist or the PDF Checklist. They are free to use and amend! 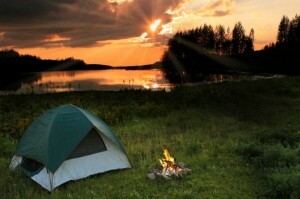 If you are a website or blog owner, we also have a Camping Checklist HTML version. If you do download the printable camping checklist we would appreciate if you would like it on Facebook or Tweet it. Thank you.